Not only can A1 Digital Solutions offer effective solutions to provide great results on paper but it also knows that the element of cost-saving plays a vital role in the decision-making for investment in any new technology. This is why A1 Digital Solutions makes sure an initial audit is carried out to ensure the right hardware and software is installed. Support is no only measured by the day-by-day results of the equipment, and the money companies can save, but also by its service support from the time hardware and software are installed right through the product’s life-time. A1 Digital Solution’s service network is comprised of fully trained professionals who have customers’ best interests in mind and who can react instantly to their demands. With service intervals now being increased, because of the nature of the long-life consumables within A1 Digital Solution’s range of solutions, it means that technicians are more able to respond quickly when a customer calls for help. A1 Digital Solutions can arrange taylor made finance packages including business leasing, hp and long/short term rentals. At A1 Digital Solutions you can be sure of finding the very best solutions on the market. 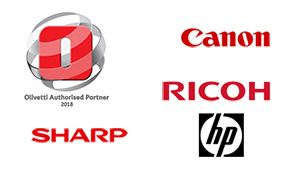 A1 Digital Solutions has chosen to work with some of the world’s leading manufacturers including ACER, Canon, HP, Fujitsu, Sharp, Utax and Olivetti whose century-old heritage is steeped in design, style and traditional values of excellence. As a result of the excellent working relationships between A1 Digital Solutions and its partners, the solutions implemented have been proven to increase productivity. Through quick and intelligent network solutions, users are able to focus on the smooth-running of their work rather than spending time at the department’s copier, printer or fax machine. 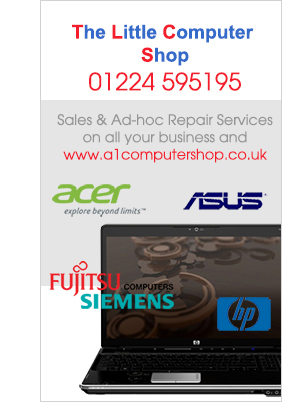 A1 Digital Solutions provide computer repairs Aberdeen. To get computer equipment repaired in Aberdeen please contact us today on 01224 592200.